Jose Mourinho approached Cesc Fabregas about a potential move from Chelsea to Manchester United after Sunday’s clash at Stamford Bridge, according to a report in the Express. United slipped further behind Manchester City in the Premier League title race after losing 1-0 to Chelsea yesterday as Alvaro Morata’s powerful header settled things in West London. Fabregas was back to his best as he controlled the game in the middle of the park for Antonio Conte’s side as United duo Ander Herrera and Nemanja Matic struggled to make an impact. However, the Spanish international’s future at Chelsea is in doubt as his current contract is due to expire at the end of the season and he’s no closer to signing an extension. Fabregas has been linked with a move to United over the past 18 months and it seems Mourinho took his opportunity to hold talks with the playmaker after the game on Sunday. The Express are citing a report from Don Balon that claims Mourinho approached Fabregas afterwards to discuss a potential free transfer move to Old Trafford at the end of the season. The Spanish publication says the United boss is desperate to lure the former Barcelona and Arsenal star to Manchester and he’s ready to make him a key part of his new-look side next year if he agrees to the move. Fabregas has made no secret of his close relationship with Mourinho – who signed him for Chelsea in 2014 – with the midfielder confirming last week that the two men still keep in touch regularly. “I love Jose and I consider him my friend and we still keep in touch right now. Some of the things said were unfortunate, but I have huge respect for him. We’ll have to wait and see how things develop over the coming months but it would be something of a coup if Mourinho could lure Fabregas to United as the 30-year-old is still one of the best midfielder’s in the league. I see no reason why Chelsea should sell a star player like fabregas to their Epl rivals..
It’s gonna be a loose for them at the end. 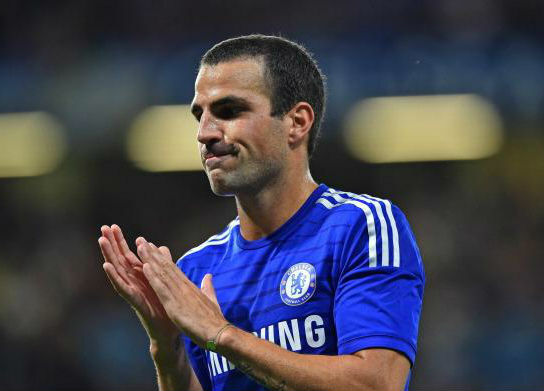 We won’t sell Fabregas at all.. Man u should keep dreaming!! Lol mourinho is confused. he should buy Dybala.